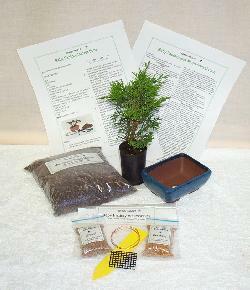 One of the most frequently asked questions is "How did you make these beautiful Bonsai?" 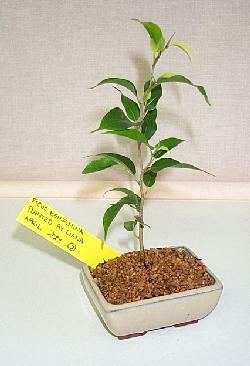 It must be a species which will grow up to be a tree, not just a shrub or bush. It must be healthy - no leaf discolouration, no cramped roots in the pot and no scarring on the trunk. It must be really vibrant and healthy! It must be a tree which is happy to live in your neighbourhood. For your first try, avoid foreign or unusual trees. Now for the branching. 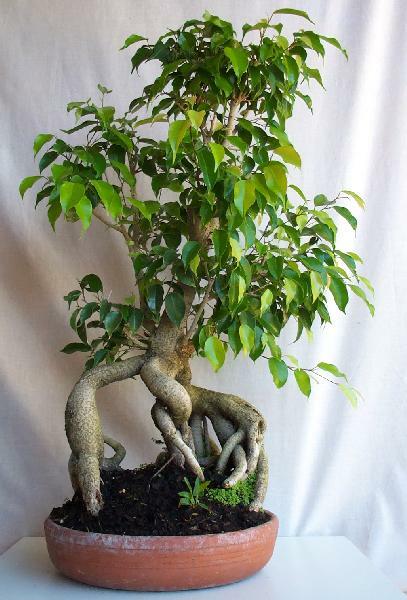 When choosing your Micro-Bonsai, it must have at least one low branch and one opposite but higher on the trunk. If it is a Conifer then it must be green and have many lower branches that you can later refine, but not yet! If choosing an older tree then it must have many branches all the way up the trunk, so that you can choose to keep the best of them when you start to train your new tree. 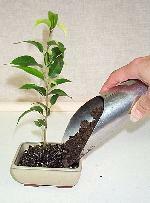 For your very first Micro-Bonsai it is important to limit cutting any roots, so the stock you choose must be small enough to fit into the Bonsai pot without major root removal. 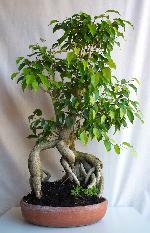 If you are choosing a bigger Bonsai, then root pruning is ok, but not for all trees.